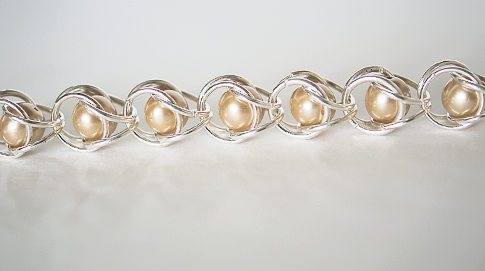 Recently I had Irina from Irina’s Cute Box here to share with you her gorgeous chain maille pearl bracelet tutorial. My sister fell in love with it, so when we had a night together this weekend, we knew it was. Hope you like it and follow me on my journey on learning making chain maille jewelries! how to make jewelry, beading pattern, Jewelry making classes, jewelry ideas to make · Join as our subscriber and redeem a free copy of the tutorials! I also like this static tutorial by cohort from M.A.I. L – Maille Artisans International League. You can get a whole ton of free tutorialsfrom this site. 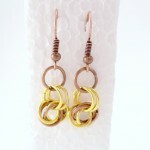 Have fun and be sure to check out my past posts on chain maille tutorials. You’ll also find free chain maille tutorials on the full Persian, byzantine chain, rosettes and more at Jewel School’s project videos page. The chain maille video tutorials are taught by Lauren Andersen and Christiane Ross.